Kids from all over Falls Church, Vienna, Tysons Corner and McLean, VA love having their birthday at Bach to Rock. Why? Because there is nowhere else that you and your friends can become rock stars and DJs for the day! Come to some of our upcoming events and see our students perform at venues like Vinson Hall and the Old Firehouse. Our staff will be on hand to answer all your questions about booking a party at Bach to Rock McLean! 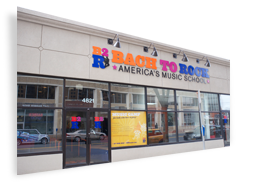 Contact us anytime at 571-830-6460 or mclean@bachtorock.com for more info!